Our little Chinese dinner: Chicken fried rice and cream cheese wontons! My partner and I looooooove chinese food. 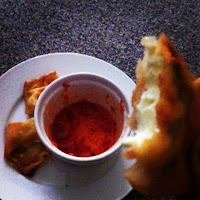 Anytime we have some spare dollars lying around you can be sure that we will be having some chinese cuisine that night! There really is an art to the fast paced chinese restaurant cooking. It's delicious and recently I've started to take the first steps to learn that art. I had never made chicken fried rice or cream cheese wontons before but it's a meal that my partner and I constantly order and devour on our nights out. I reckoned it was about time that I gave it ago. So yesterday afternoon while my partner was at work I set off to get the ingredients I needed. I had most of the ingredients already at home luckily things like: rice, chicken, soy sauce etc... but there were a few things I needed to pick up. I got them and this entire recipe (rice serves 4) only cost me 19! 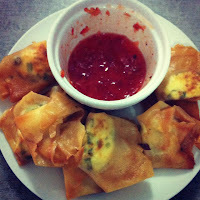 We will start with the lovely wontons! Take your cream cheese and place it into a bowl. Take a nice handful of chopped green onion and place it in the boil as well. Add a dash of soy sauce. Mix until well combined. 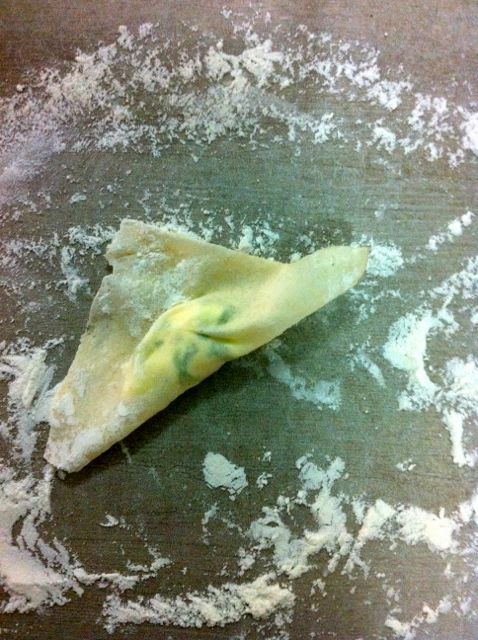 Take out your wonton wrappers (If you use larger wrappers cut it into fourths) and place a spoonful of the mixture at the center of the pastry. 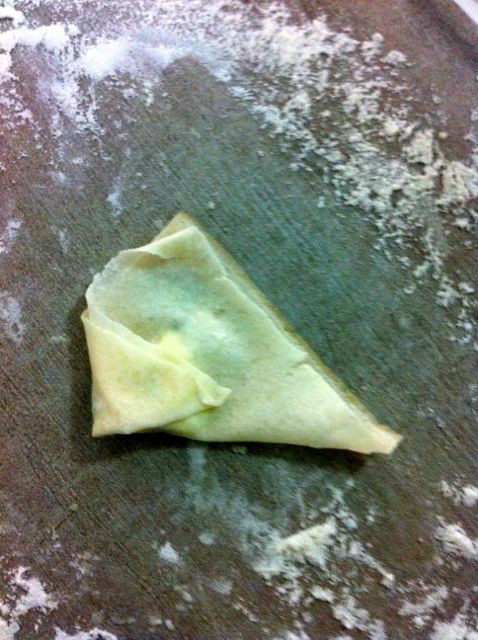 Take one point of the pastry and fold it to the opposite point and then seal the sides. Then take the two similar ends and fold them together into a hugging position (Shown below). Repeat this again until you run out of the mixture and/or pastry. 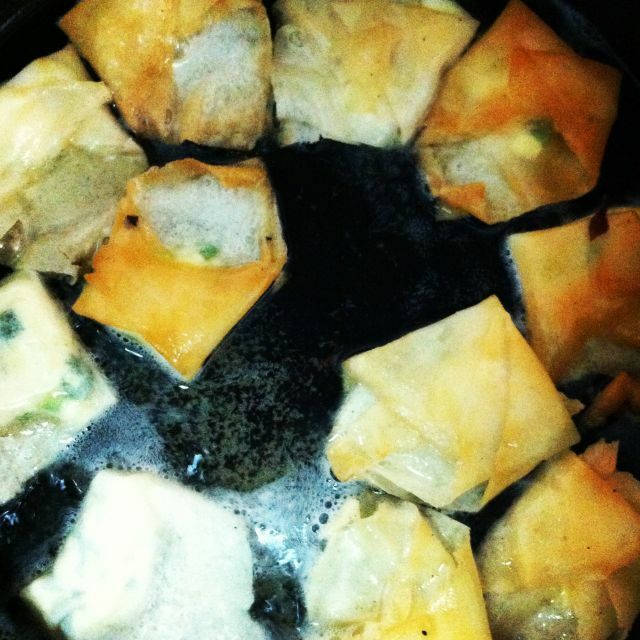 Next take a deep fryer or a deep skillet and filled with a cup of oil and fry your wontons. Next up Chicken fried rice :) ! Place a tbsp of oil in your skillet. Add your onion wedges and sauté until lightly brown. Add a tbsp of garlic and sauté again. Add your eggs and rice and cook until it is well combined. Take your oyster sauce, sweet chili sauce, and soy sauce and combine them in a small bowl. Mix. Combine them with your rice mixture along with your cooked chicken. 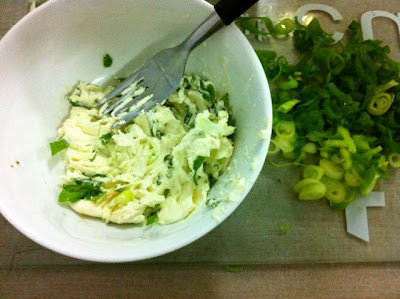 Add your green onion in as well. Mix. 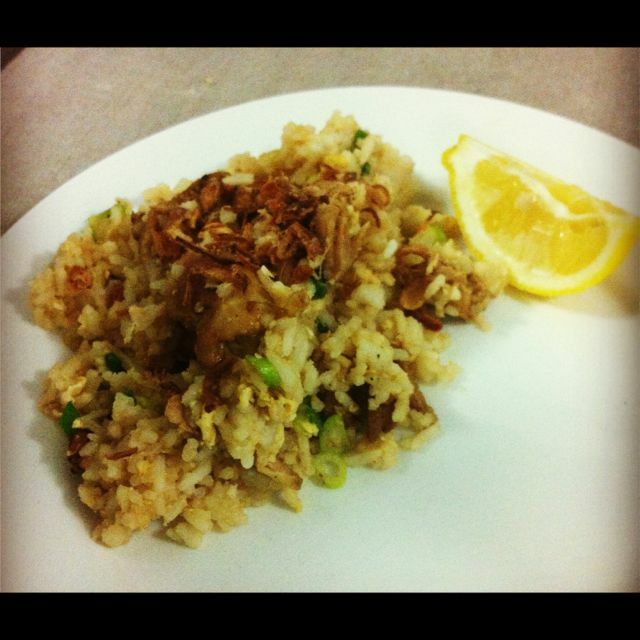 Serve warm with fried shallots sprinkled on top and a lemon wedge! 1. Be careful not to over cook your rice. 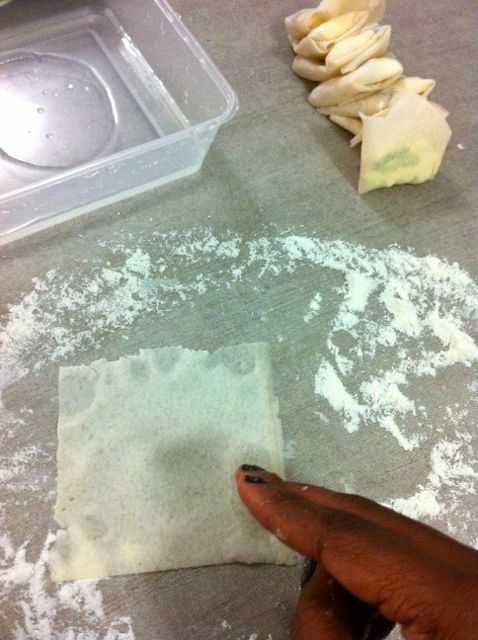 It will become sticky and you want it to be very loose so don't cook it until its entirely soft. 2. Taste your food. 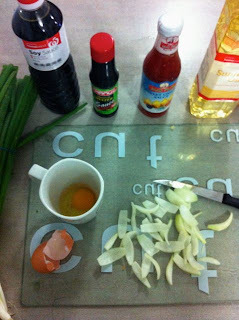 If you need more oyster sauce or soy or anything add it before you serve! 3. If you can get wonton wrappers get them! 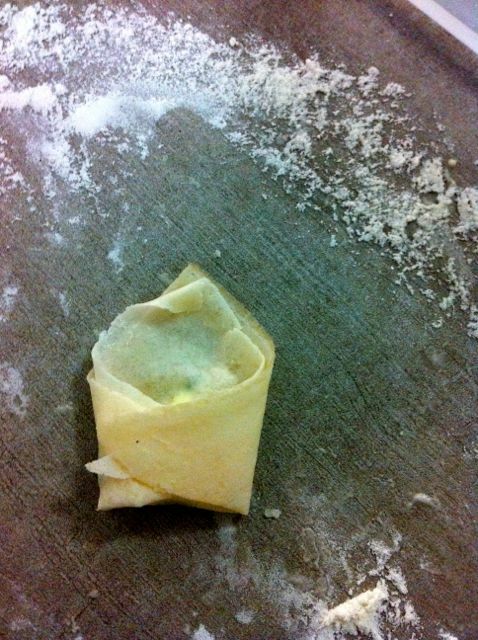 Even though I managed with the spring roll wrappers they don't soak up the water like a wonton wrapper and therefore don't stick together as well when folding. 4. 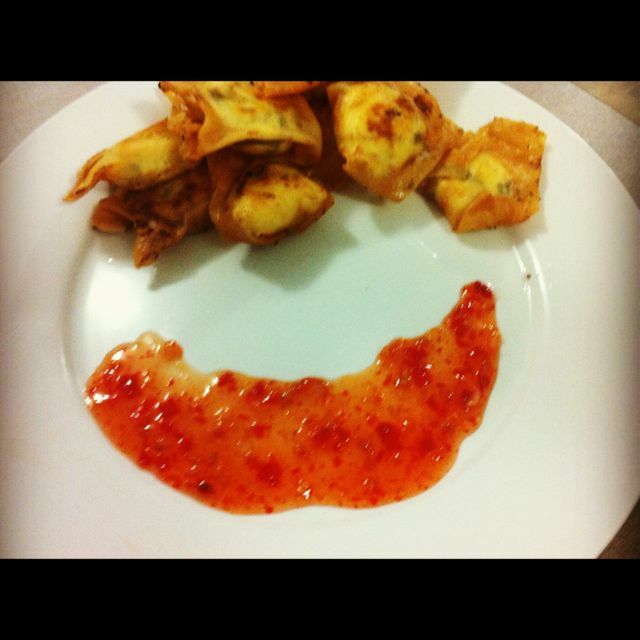 Try different sauces with the wonton. If you are serving them for a party have a host of different sauces available I even read that some people enjoy buffalo sauce with them! What do you think? Any suggestions/questions/or comments on the recipe ? If you have any tips for cooking these two dishes please share as well.